Issue 105 of Let's Knit arrived this week and is in the shops in the UK now. 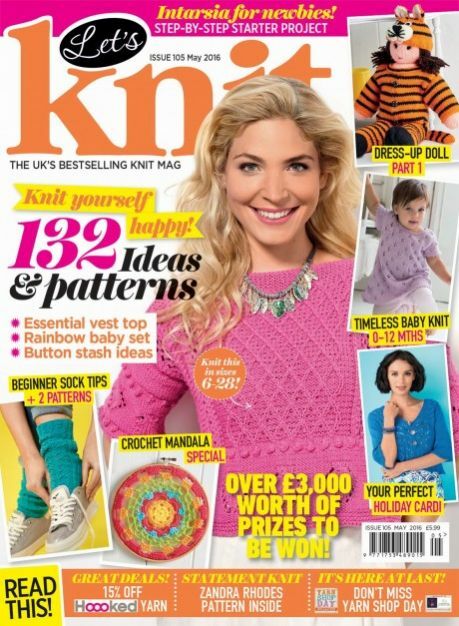 I've got two designs in this issue. 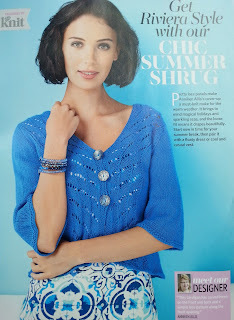 Let's talk about my Chic Summer Shrug first. You can see a preview of some of the other designs in this issue. Pretty lace panels and a curved hem which is created by short rows and increases. It brings to mind magical holidays and sparkling seas, and the loose fit means it drapes beautifully. Start now in time for your summer break, then pair it with a floaty dress or cool and casual vest. 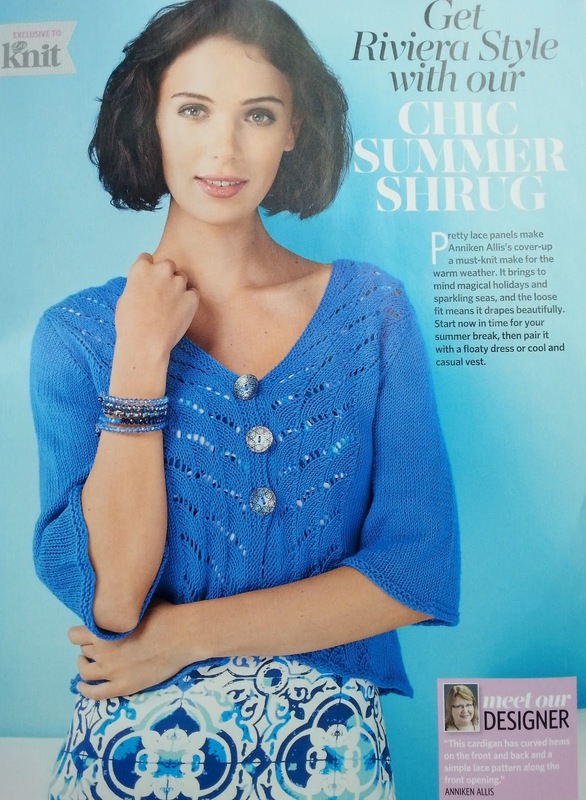 This cardigan was knitted in Katya Merino Baby which is soft, silky and smooth pure merino but because it's a 4ply and a loose knit, it's perfect for cooler summer days or to cover up in the evening when the temperatures drop. 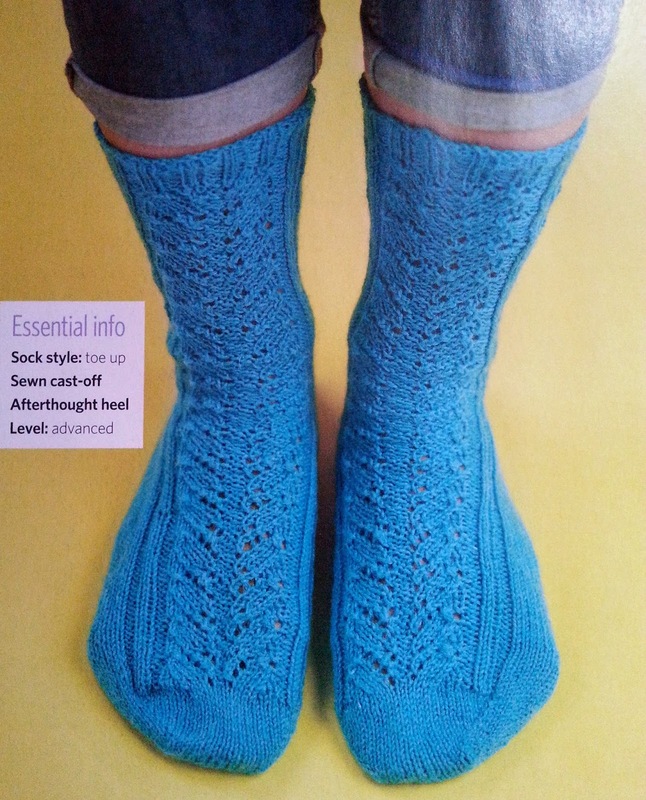 My second design in this issue is a pair of Toe Up Socks with an afterthought heel. There's a pretty lace panel running up the centre front with the rest of the leg worked in rib to create a good fit. The pattern comes in two ankle circumference sizes and adjustable foot length. 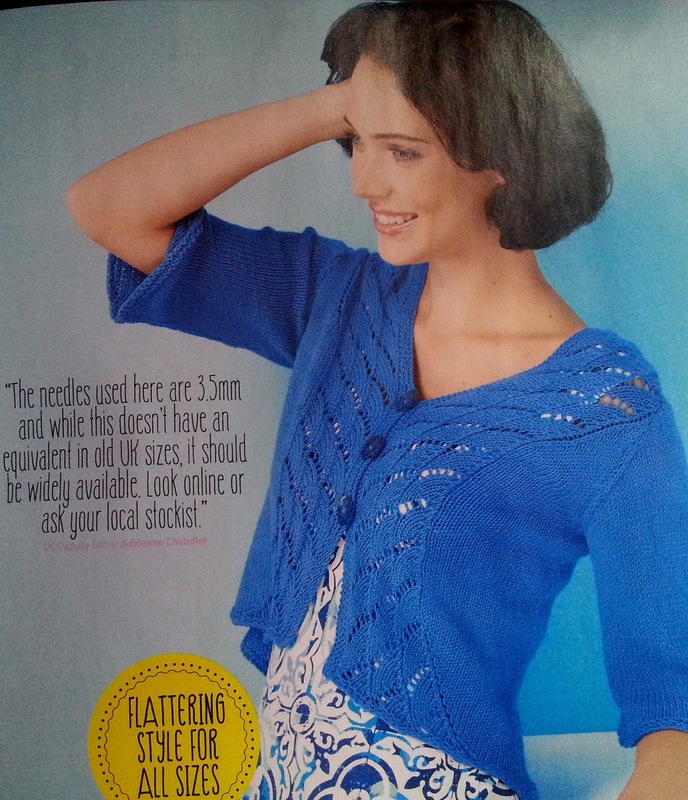 I used West Yorkshire Spinners Signature 4ply sock yarn which I love working with. Emily liked these socks when I was knitting them and as they're her size, she'll be claiming them when they're sent back to me.